The 2014 Egg-Stravaganza Character Egg Hunt at the Disneyland Resort is wrapping up. I saw tweets today 4/18 that the maps are now sold out so you cannot purchase/redeem them but instead they are issues paper copies so you can enjoy the hunt for free. No prize at the end though. 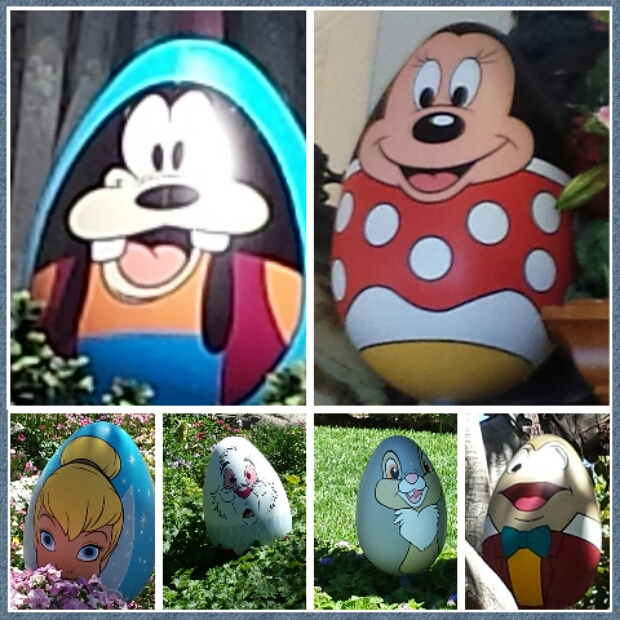 The character eggs will be around the parks until the 20th. For those unfamiliar with the event you could purchase a map starting April 10th for $4.95 plus tax, no discounts. There was one for each park. The maps listed the location of 12 character eggs. You were given stickers and you went around the park to identify which character egg is in which location. Once you found all 12 you returned to a redemption area and could claim your prize, a miniature egg. 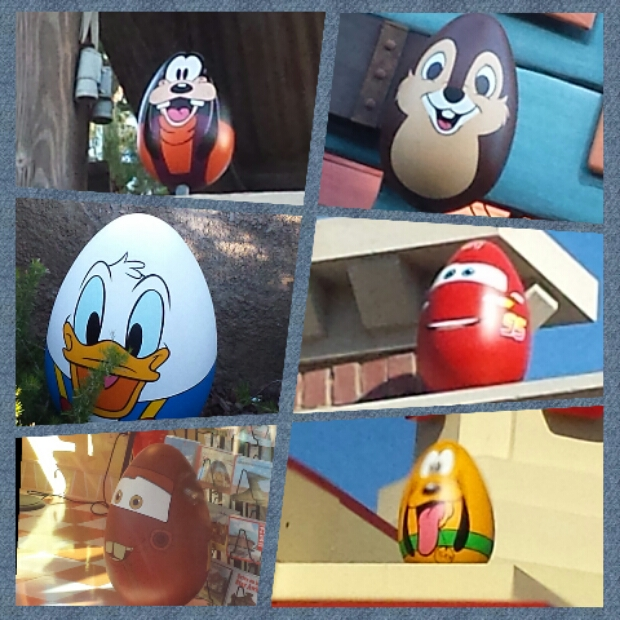 I posted pictures of all 24 eggs around both parks in a Disneyland Picture set from Friday the 11th.